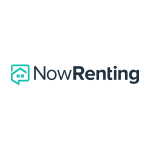 NowRenting is a property management software that enables solo landlords, leasing agents, and rental property managers to streamline their rental and leasing processes. It also allows users to promote their rental listings by creating a public profile where they can add their property listings for rent that can be viewed by prospective tenants. In this article, we cover its available pricing options. Ready to try NowRenting? Get a free trial. As of the date this article was written (12/17/18), there are no user reviews of NowRenting online. If you are a past or current NowRenting customer, leave a review to help other business owners who are deciding whether or not to use the software. NowRenting has a free plan and two paid subscription options: Professional ($19/month) and Business ($59/month). The main differences between the plans include the number of users, as well as access to premium features such as a real-time feed of local leads and tracking of landlords. NowRenting also offers a White Glove Service which takes care of all aspects of the listing, marketing, and screening process (except the property showing). It costs $199, but users will only pay once a signed lease with a qualified tenant is delivered. Ready to try out NowRenting? Get a free trial. 8 Best Property Management Software 2018— The best property management software helps property managers stay organized while completing tasks like tracking rent payments and maintenance requests. In this guide, we looked at dozens of property management software and narrowed them down to our top eight based on several criteria including pricing, features, number of units, customer reviews, and more. Does NowRenting have a mobile app? Yes. NowRenting users can manage their property rentals on their mobile devices using NowRenting’s mobile app, which is available for download on both Android and iOS mobile devices. Does NowRenting provide a private phone number to their users? Yes. NowRenting gives a phone number which users can provide to their listings, to separate their business transactions to their personal connections. Not sure if NowRenting is the right fit for you? Read our reviews of all top property management software providers or check out one of these three NowRenting competitors.